See here for the film: https://www.youtube.com/watch?v=Tyvi8aSnSPY. 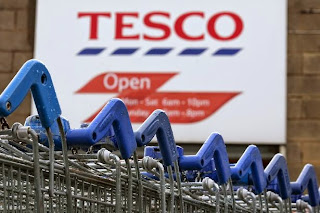 The supermarket chain Tesco has recorded terrible losses during the last financial year; so terrible that I wonder, are we looking at the end of Tesco? Is that a good or bad thing? See here for Kamal Ahmed's blog article: http://www.bbc.co.uk/news/business-32411217.